I am a PR trainer, lecturer, writer, business mentor, media relations expert and food/well-being PR. My time is split between helping others develop their PR and communications skills and managing the PR of clients that I serve. I feel very lucky. I love what I do. I work hard. I get results, I meet lots of bright people, many of them rising PR stars and I am always learning. Living in London suits my personality for people watching and collaborating. The vibrancy of the city stimulates my ideas. Those who know me associate my soft Irish accent and old fashioned name with PR training or food PR. I help around 150 professionals learn public relations each year. Some benefit from a practical ‘how to’ workshop or mentoring session that I’ve created to develop skill and confidence. 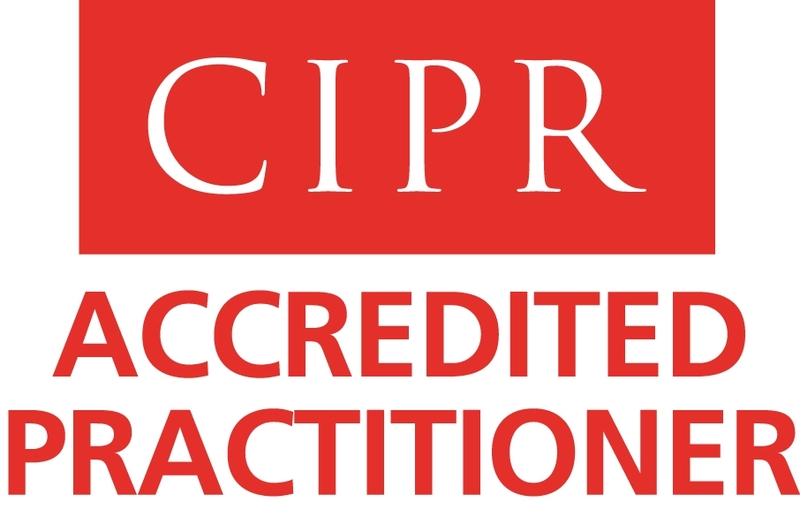 Others get my guidance through partner education organisations where my PR courses, tutorials and webinars facilitate learning or help achieve a professional CIPR qualification. But it wasn’t always like this. I didn’t grow up educating others but being the eldest of four little brothers and sisters probably set me on this path. I developed an eye for business early and earned money from knitting aran jumpers when I was still at school. During my university years, I came home at the weekends to help my brother with his home bakery and worked as a supervisor in a high street department store. I’ve been a journalist, a promotions manager for a magazine and a host for international English students. I’ve even run evening cookery classes at my local adult education college to prepare myself for teaching others how to write press releases. The springboard for what I do now came just after I graduated when I was offered a job as a journalist for Good Housekeeping magazine. That threw me into the yuppie years of London living and it wasn’t long before I jumped ship to work for a PR agency. I’ve worked in small and large global London PR consultancies, but decided to set up my own business ten years ago so that I could train others and get back to one-to-one working with PR clients. During this time, I’ve been lucky to work with all kinds of organisations – award winning PR consultancies (training them as well as working with them to deliver PR Week and CIPR Excellence Award winning campaigns), in-house communicators, professional bodies such as the CIPR and the UK’s leading provider of CIPR qualification courses, the PR Academy. I’m involved in the Prince’s Trust enterprise programme as a business mentor and marketing trainer for young people. And I also work with small businesses providing them with mentoring and support on their marketing and PR. Plus I give regular talks and run webinars on all aspects of public relations. Thank you for stopping by if I can help you with your PR or PR skills, then please get in touch.